The sky’s the limit for local resident, Tasha Reynolds, who refuses to become another statistic in the foster care system. 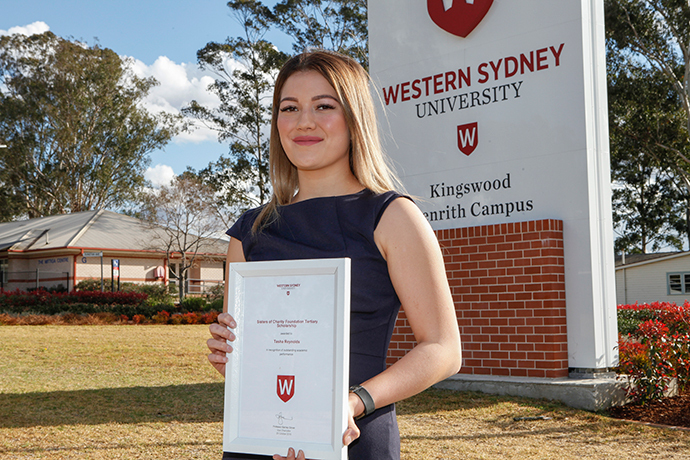 The 20-year-old Western Sydney University student has become an advocate in promoting tertiary education opportunities for young people living in out-of-home care. “My mum turned to methamphetamines when I was eight after splitting with my dad, who was too sick to take care of us and eventually passed away,” Ms Reynolds said. Taken in by Family and Community services (FACS), previously known as DOCS, Ms Reynolds alongside her two sisters was fostered by her former pre-school teacher. 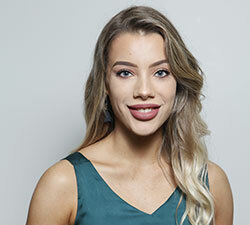 “Although we were lucky enough to all live in the one home, our foster care experience wasn’t all that great as my foster mum started to go down that same path of drugs herself,” she said. Determined to make a life for herself, Ms Reynolds decided to put everything she had into her education, which saw her receive leadership opportunities as well as high school and university scholarships. “Being in the foster care home that I was in I felt like the only way I could really change my life and make better choices for myself was through my education so I made sure I was involved in every opportunity available,” Ms Reynolds said. Currently less than three per cent of young people in care attend university in comparison to 40 per cent of those living in a two-parent environment. As a Youth Ambassador for the university, Ms Reynolds speaks at conferences and workshops to help inspire foster children to follow their dreams. “The reality is a lot of these kids don’t have the drive or role models to aspire to go to university and tend to fall into the cycle, the program really encourages them to believe in themselves,” Ms Reynolds said. “I tell them your circumstances don’t define you, our parents may have turned to drugs or crime but we can choose to continue down that path or we can stop, change and be a better person for ourselves”. Foster and Kinship Care Week is this week and runs until Saturday, September 15. Western Sydney University will be holding an event for foster carers and families this Sunday, September 16 to celebrate.